This story was just sent to me by Connie's brother-in-law Ken. Ken lives out by Harrisburg in a nicely wooded lot. 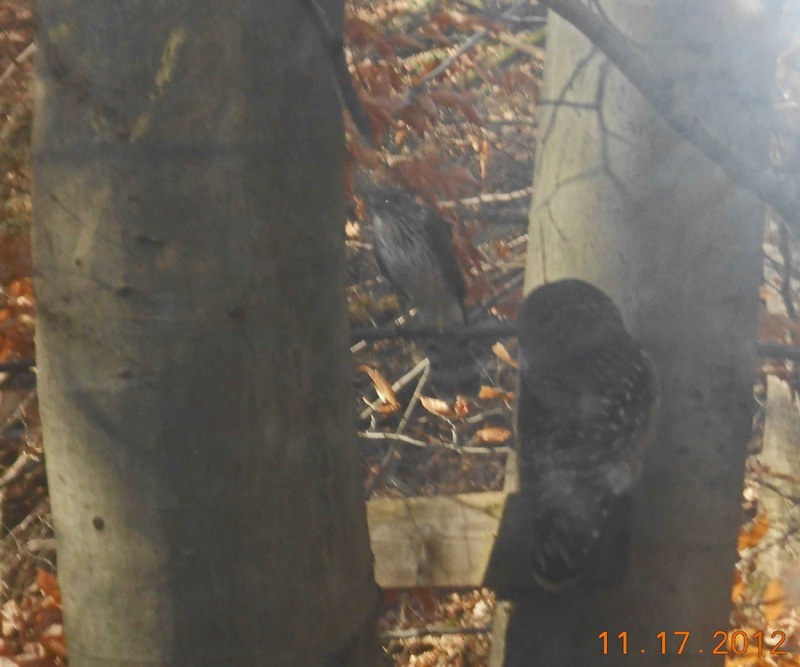 He watched a Cooper's Hawk and Barred Owl chase each other around the woods and then land just outside of his dining room staring each other down for about 10 minutes. 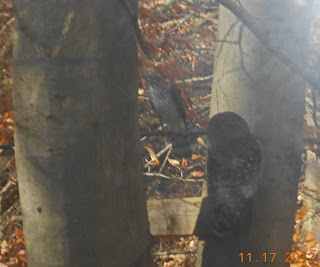 The Barred Owl finally flew off. Pretty neat experience. Here is a photo taken from the dining room window. The owl has it's back to us and the hawk is facing us. I think we can witness a lot of action by watching our own backyards. Thanks to Ken for the story and photo. Good story. Hope the owl made it without being stalked (off camera...).